A sea critter found on a beach of Cape Ann MA. Oh wow! 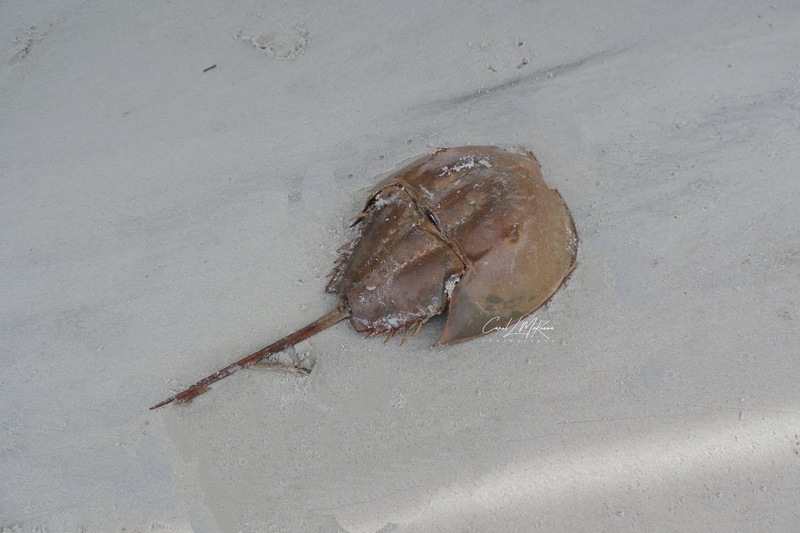 A Horseshoe Crab! Being far from the ocean, I get excited about sea creatures! Hello, the horseshoe crabs are neat. We see more of them in the spring, the birds love to eat their eggs. Thank you for linking up and sharing your post. Happy Saturday, enjoy your weekend. Such an unusual thing to find. I've never heard of this crab before. He would be a frozen crab here! Nice find. How neat to see that! It makes me want to visit the ocean! Maybe AFTER Spring break! heehee! Hugs! Wow! That's one i've never seen in the Gulf. Nice photo. one year there were many horseshoe crab shells washed up all over the beach in winter in Delaware.Sad to see. I did bring home a shell of a baby horseshoe crab just to remind me how precious and fragile life is. I must admit the horseshoe crabs are on my bucket list - we don't get them here. I have never seen one of these alive. They are so unusual.